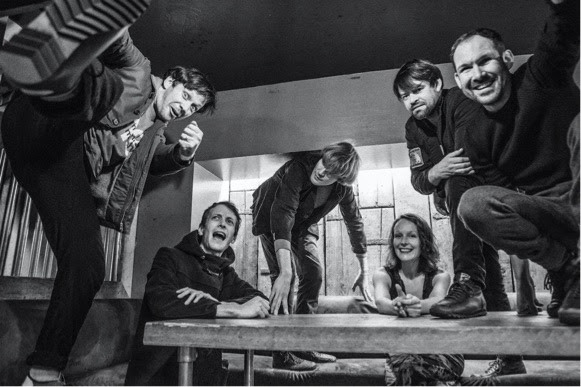 British Sea Power have revealed the official video for “Keep On Trying (Sechs Freunde)” the second single off the band’s upcoming album Let The Dancers Inherit The Party out March 31st on the band’s own Golden Chariot imprint (via Caroline International). 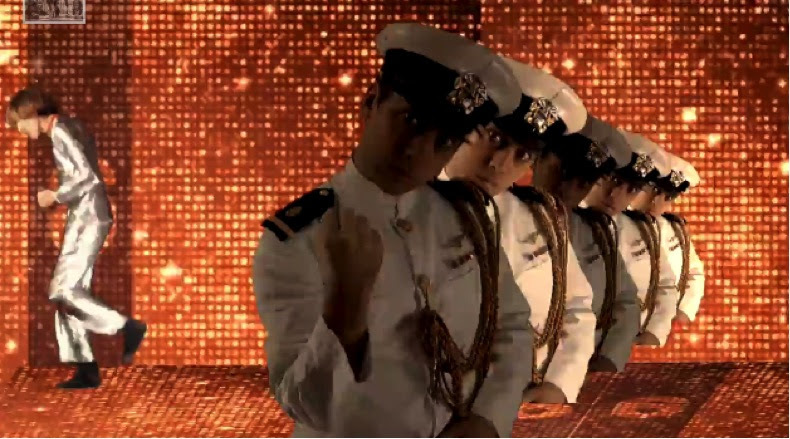 The song – a paean to perseverance; a rocket-powered love letter to enduring friendship – is brought to life in this surrealist exercise video where a silver clad sextet jog alongside assorted representatives of the animal kingdom and a crew of military men who pull dancefloor moves against a solid gold backdrop. An average night out in Sea Power world, then. “Keep On Trying (Sechs Freunde)” sees the iconic UK group continue to immerse itself in the German language, Polish animation, and particularly the work of the German Dadaist Degenerate Artist Kurt Schwitters – all cosmopolitan imperatives that underlie the internationalism and pan-European unity that has energised British Sea Power throughout its 15-year history. The track’s Europhile chorus rings with a collective Deutscher cry of ‘Sechs Freunde’ – the German equivalent of the six degrees of separation concept; six friends being the constituency of British Sea Power. It follows Let The Dancers Inherit The Party’s lead single “Bad Bohemian”. Both tracks are now available as immediate downloads via album pre-order. British Sea Power is based in Brighton, UK; the band members live in Sussex, Kendal and on the Isle Of Skye. The band is Yan Wilkinson (vocals / guitars), Neil Hamilton Wilkinson (vocals / guitars), Martin Noble (guitars), Matthew Wood (drums), Abi Fry (viola), Phil Sumner (keyboards / cornet). Recorded in Sussex, London and on the Isle of Skye, Let The Dancers Inherit The Party follows the band’s five studio albums for the great Rough Trade Records – a catalogue of releases that saw BSP become the longest continually-signed band in the label’s history. Rough Trade remain a vital part of the BSP story and will continue to do so, but the new album is being licensed from the band’s own Golden Chariot label to Caroline International. The entire recording of the album was funded by the band’s remarkably dedicated audience.